Hands down, this is awesome. It irritates me when someone guts older consoles for one project or another. (I’m looking straight at you Flashback fans). 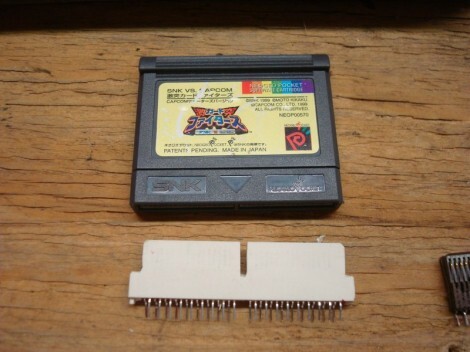 Finding an alternative source for connectors for some game cartridges is going to be quite handy. Sure it’s a lot of work now, but it’s going to be a lot more work in the long run when people start throwing away their crappy projects. One thing that’s not in the article/video is how to harvest PCI (ISA, PCI-E, etc.) slots. If you only need to make a couple connectors and have some old motherboards around, you can pull them off. Trying to desolder a PCI socket is very tricky, but there’s a very easy way to get usable sockets and plenty of other interesting parts (pin headers, USB, etc.) that I’m sure is known to many. Heat up the back side of the motherboard with a small propane torch (like used for plumbing). Once the solder is melting, whack the motherboard, and the sockets will fall off. You can whack it one way to get some solder off and then whack it the other way to get the parts off. A quick bit of advice: For N64 cartridges those old ISA ports are the perfect fit. This looks like a job for a razor saw or a Dōzuki rather than a high speed cutoff wheel. Nice & clean with no melted plastic. Here’s an idea. Design a tool for cleanly cutting the back end out of PCI express sockets. Why? Because PCIe cards will all work down to x1 but are physically limited to fitting into slots long enough to accept them. Many motherboards have PCIe slots that are actually only partially connected. An x16 video card could be plugged into any PCIe slot and work, if the end of the connector was open. There are PCIe to ExpressCard adapters for laptops. The boxes have an x16 size slot but ExpressCard is only PCIe x1 with USB added. You *can* connect that monster video card to a laptop, but it’ll be drinking data through a swizzle stick sized data bus. For Sega Master System cart you can use Isa Slots, it works too for DIY Power Base Converter.